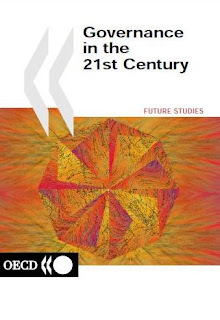 For those who want an insight into what our masters are thinking, they need go no further than this 218-page document produced by the OECD. Although it is now nine years old, writ large here is the tranzi agenda, in plain sight, for anyone who wants to see it. There are no secrets. It is a "conspiracy in plain sight". Three main messages emerge, we are told. Firstly, "old forms of governance in both the public and private sectors are becoming increasingly ineffective." Secondly, "the new forms of governance that are likely to be needed over the next few decades will involve a much broader range of active players." 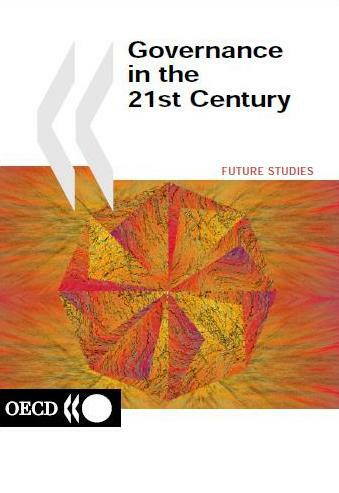 Thirdly, key attributes of today's governance systems "look set to undergo fundamental changes." This is a silent revolution in the making. We know nothing – or little – about it, but largely because the majority of people are not interested. From the very top to the bottom of this land, there are very few people who are in the least bit concerned about how we are governed. So it is that those who are interested, mainly because they are paid to be or because they stand to benefit hugely from the changes, have the field to themselves, writing arcane 218-page reports that only a handful of people will ever read cover to cover. But when the revolution comes, they can quite honestly say that they warned us, that their discussions were out in the open, accessible to all who wanted to participate. By the same token, however, we can also say, when the mobs rule the streets, that we too warned them. But no more do they read our stuff than we read theirs. So, as always, events will take their course.